Mazi - $3.95 : Your Own Font Shop, The shop with unique handwriting fonts. 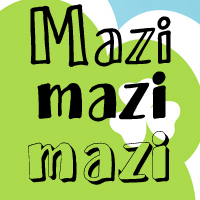 Mazi is an incredibly useful font with three variations - you can combine use them one by one and color the characters. aMAZIng :) As usual - full characterset. If you want to purchase a webfont license, please go to myfonts.com - Mazi Webfont license.